You probably discovered our chapter through a friend, and enjoyed one of our tasting meetings as a guest. We are glad you share our enthusiasm. There are other AWS groups in other areas which hold meetings in different fashions and on different schedules. Our meetings are held monthly, and are usually at members' homes. As the timing or need arises, there are occasional exceptions. It is also good that you have visited our website, where there is quite a bit of information - too much maybe, so this "Quick-Start Guide" will help you find things a little more easily. To become a member of the Carroll County Chapter of the American Wine Society (CCAWS), please see the The CCAWS Membership Brochure, (NOTE: If you can’t open this PDF link, click on the Newletters link and click on Get Adobe Reader for viewing PDF files.) Before getting into details, you should also know that your bona fide membership (as both a CCAWS local AND National AWS registered member) grants you the following discounts when you present your membership card: Discounts on all non-sale wines at these fine local wine markets: • College Square Liquors • Cranberry Liquors • House of Liquors (410-840-3662) • Main Street Liquors (Hampstead, MD) • 15% OFF wines from Serpent Ridge Vineyard NOTE: Discounts subject to change by individual proprietors without notice. A meeting typically starts at 2 P.M. on the third Sunday of the month, and usually has two hosts: a wine host, and a house host. These are listed in the schedule, and sometimes the same host manages both house and wine presentation. A small taste of wine is casually enjoyed during the first few minutes as business and announcements are made, followed by the tasting presentation, usually a guided flight of about 6-8 wines, presented with a theme or a common thread. Wines are scored by the AWS method, and votes for favorites are tallied. Following the votes, the list prices are announced, NOT BEFORE. After the wine presentations, the casual social gathering finishes the meeting, with ample hors d'oeuvres, cheeses, snacks and desserts to accompany wines, and the meeting concludes at about 5 P.M.
RSVP! As venues are often intimate, space is limited, so it is important to RSVP by phone or email before the deadline as posted in the newsletter. Very few meetings are attended by all members, but venues are private homes, and often crowded. Regardless, please RSVP, don't just drop in. Also, please CANCEL if you can't make it! You will likely make room for someone else! Attendees are expected to pay only for the costs of the wines, and a small fee for the host's expenses (typically $20-30 per person). 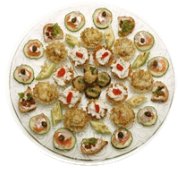 Attendees are asked to bring a dish of light fare to share after the educational portion. 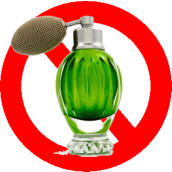 Strong perfume or cologne is discouraged, as it interferes with your own and others' perception of the wines. Less is more! 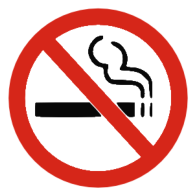 Smoking is not permitted in tasting venues.